Here is a list of three films I believe need to be re-released onto dvd, either because they are out of print or their initial release didn't do the film justice. Siblings, Eric (Frederick Flynn) & his surreal abstract artist sister Kay (Sarah Kendall), her doctor husband David (Alan McRae), her sister-in-law Brooke (Carol Kottenbrook) along with pilot Marsh (Michael Holmes) become stranded on a rugged isle. For thirty-something Kay her current situation is her worst fears realised, for she's been troubled since her childhood by recurring prophetic nightmares in which she is stalked and slain in a burning room by figure known as The Slayer. Now it seems this place may be in fact its dwelling and she's sure somehow that this so-called entity is lurking close by, biding its time until nightfull, where it will be drawn to Kay who (for whatever reason) dreams of its killings. But, then again, what's real or make believe? Not everything is what it seems in this place. The ending was very innovative for its time although it has been used numerous times since. I know a lot of you are thinking that this has never been released onto dvd. Well, it was for a short time in the UK courtesy of Vipco. We have never seen a region one version but hopefully that will change. 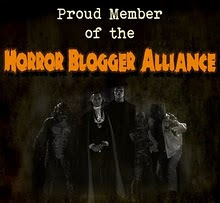 The plot revolves around a small American town that slowly becomes infested with vampires. 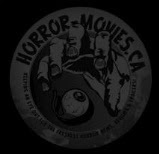 However, the mini-series is necessarily toned-down from its source material, removing several characters and sub plots, and instead focuses primarily on visual scares, atmosphere and tension. The appearance of the lead vampire in the mini-series was inspired by the motion picture Nosferatu. As in that film, vampires are portrayed as monstrous and repulsive in keeping with legend and folklore, though in King's novel the character was described as more human looking. I found this to be the best of all King's televised horrors, it still gives me chills. I have always believed that vampires are not supposed to be super attractive, let alone sparkle. 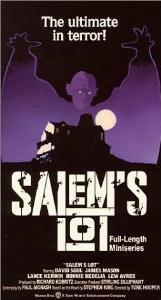 The only dvd of Salems Lot came out in 1999 and is out of print. I would love to see a special edition, the last release was pretty bare when it came to extras. A used copy can be had for $15.00 but a new copy will be double that.